If you want a tasty dish that will wow your guests this is it! My family loves this so much we try to have it bi-weekly. Heat olive oil in a skillet over medium heat. When the oil is hot, add the onions. Squeeze the sausage from the end of the link to remove it from its casing and add directly into the pan. Use a spatula to break up the sausage into bite-sized pieces. Increase heat to medium-high and cook, stirring occasionally, until the sausage is browned. Reduce heat to low, then add the garlic and stir until fragrant. Add tomatoes, Half n half, and tortellini to the skillet. Stir to combine. Cover, then reduce the heat and simmer for 15 minutes until tortellini are tender and heated through. Taste the sauce and add plenty of salt and pepper to taste. I also like to add Parmesan cheese to create a nice consistency sauce. I also like to add fresh spinach when I have it. This is also optional but I think it adds more flavor to the dish! You can sprinkle some cheese on top while plating. 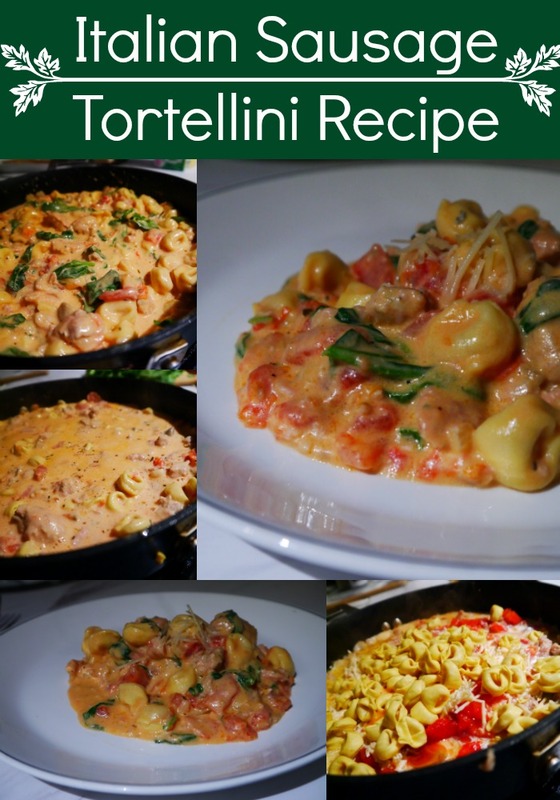 Have you ever tried Tortellini?? What is your favorite Tortellini recipe link it in the comments! !